Anthony and Joe Russo have won the hearts of Marvel fans everywhere with their two incredible entries in the MCU in Captain America: The Winter Soldier and Captain America: Civil War. They are currently set to direct the upcoming two-part epic Avengers: Infinity War but even though they will be busy with that behemoth of a project, that is not stopping the Russo Brothers from approaching other projects along the way. 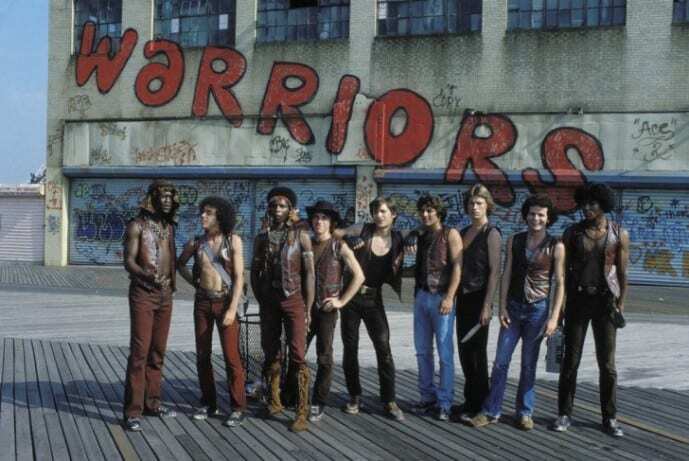 It has been reported that the Russo Brothers will be bringing the Walter Hill-directed cult classic, The Warriors to television. That 1979 film was an adaptation of Sol Yurick’s novel of the same name. The dynamic duo will be adapting this series with Paramount TV and Hulu as a one-hour drama. At the moment, there is no news about casting and/or directors taking on the project, but the Russo Brothers will work with writer Frank Baldwin on the series. It is also being reported that the Russo Brothers may direct the show’s pilot, but their directorial involvement beyond the pilot is currently unknown. Although they are hard at work with Avengers: Infinity War at the moment, I think it is great that the Russo Brothers are taking on this project for the small screen, thanks to their television experience on shows such as Arrested Development and Community. Granted, those shows were sitcoms, but it only proves their proven range on productions. What do you guys think about this upcoming series? Are you coming out to play? Sound off in the comments below. Here’s the synopsis for the original film. A turf battle between New York City street gangs that rages from Coney Island to the Bronx. The Warriors are mistakenly fingered for the killing of a gang leader. Soon they have every gang in the city out to get revenge and they must make their way across the city to their own turf. So the Russo brother’s can come out and play-i-ay? As long as they make it violent with well-crafted and choreographed fight scenes, I’m there. I remember years ago when Mtv was going to do a co-produced remake with Tony Scott sans any guns…Man, I’m glad that didn’t happen.